$5 Arts for All Info HERE. An outing with no definite destination. Taking advantage of the opportunity afforded by a visit to Portland by the peripatetic and amazing Bob Eisen, PWNW puts together a mid-summer dance outing comprising three solos by veterans Eisen, Gregg Bielemeier, and PWNW director Linda Austin, plus a group piece by Leah Wilmoth and Sada Naegelin. Linda Austin performs yes, AND…, a meditative solo of tenderness towards the aging body, a tactile apprehension of the world to hand. An intimate drama of gesture and sensation unfolds alongside the potentials and consequences of Linda’s bracingly unorthodox use of everyday objects. Bob Eisen’s RESEVIC is a rigorously performed and constructed dance work that continues his ongoing exploration of form, movement vocabulary and humor in dance making. It also deals with the fact that Bob is 70 years old. Sound by Phillip Corner, edited by Bob Eisen and Michael Caskey. I drowned in moonlight, strangled by my own bra is a dance choreographed and performed by Sada Naegelin and Leah Wilmoth. They are joined by dancers Alanna Hoyman-Browe, Fern Wiley and Abby Nace, with pianist Charlie Copeland. Sada and Leah’s movement explores compositions that are funny, sincere, strange, and fleshy. They represent, respect, and reject female archetypes. They distort and experiment with technique and pop culture. There is deep darkness and bright, shimmering light. They thank the one and only Carrie Fisher for providing the title of this work. Linda Austin, co-founder and director of Performance Works NW, has been creating dance and performance since 1983. Her work deploys movement, sound, text, visuals, and props to create non-linear, poetic works laced with an eccentric wit, teetering on the edge between the immediately apprehensible and resolutely mysterious. Austin’s performance has been presented in New York, Mexico, and the Pacific Northwest at venues and festivals such as Danspace Project, Performance Space 122, On the Boards’ Northwest New Works, the Risk/Reward Festival of New Performance, and Portland Institute for Contemporary Art’s Time Based Art Festival. She is the recipient of the 2017 Foundation for the Contemporary Arts Merce Cunningham Award and RACC’s 2014 Fellowship in Performing Arts, as well as fellowships from the Oregon Arts Commission and the New York Foundation for the Arts. Gregg Bielemeier said a few years ago for a Stance on Dance Interview: “There will always be something I have to do or say.” Gregg has worked on the West Coast and in Europe as a choreographer, performer and teacher for over 45 years. 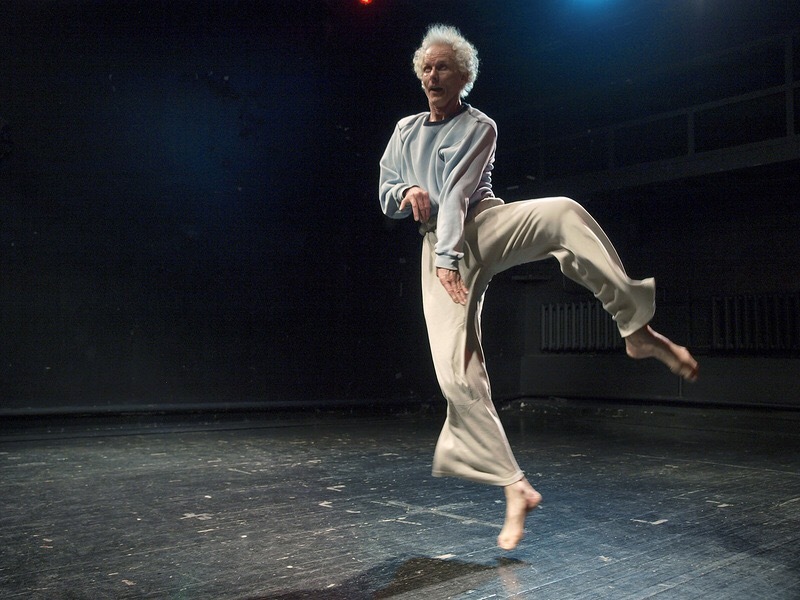 His career began in 1970 with Portland Dance Theater. He is a founding artist of Conduit Dance, Inc. Gregg’s work has been presented in Los Angeles by Dance Kaleidoscope, in Seattle at On the Boards Northwest New Works Festival, at Holland’s International Dance Festival, and in Portland by Portland State University’s Contemporary Dance Season, Portland Art Museum, Imago Theater and for White Bird’s inaugural and 11th annual dance series. with Leah Wilmoth nearly seven years after their work with Taylor Eggan on Tinnitus (2010). After Tinnitus, Sada spent a short stint in Austin, TX, where she danced with Ellen Bartel and other local choreographers. Most recently Sada created and performed the duet TRACES with local Portland dancer, Mark Koenigsberg. Leah Wilmoth is a dance artist and educator who grew up in rural Michigan. She moved to Portland in 2008 and is thrilled to be making movements with Sada again. They originally worked together, along with fellow collaborator, Taylor Eggan, on Tinnitus in 2010. Leah recently performed a solo in Neuwerk Vol. 5 (2016), an improvised duet with Claire Barrera in WUT GUISE (2015), a performance/fashion show curated by Kayleigh Nelson, and a collaborative performance for Pure Surface (2015) with poet Liz Mehl and videographer Marianna Milhorat.